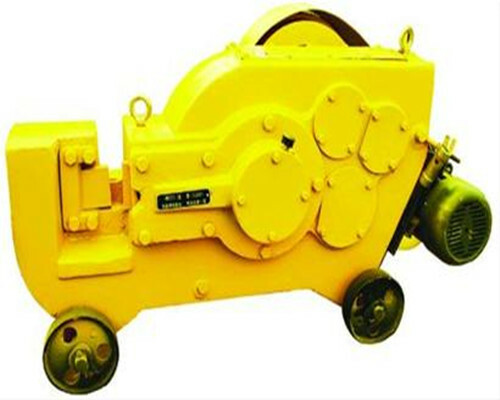 Iron cutting machine is extensively used to cut steel bars in construction industry. These steel bars could be divided into ordinary carbon steel, hot rolled steel, TMT bars, deformed steel bar, flat bar, square steel and angle steel. As one of essential cutting tools, iron bar cutting machine is more often to see in housing construction, road building, tunnel and bridge projects. First of all, the cutting blade of iron cutting machine is replaceable. What’s more, it is made of forged steel. So cutting blade is uneasy to break down. Besides, 28mm thicken blade will promise our cutting machines a long functional life. Secondly, it has heavy-duty machine body. And the whole body adopts cast steel material, which guarantees our iron rod cutting machine durable and compact in structure. Thirdly, Ellsen bar cutting machines adopt 3KW cooper motor. So our bar cutting machines are powerful and durability in use. 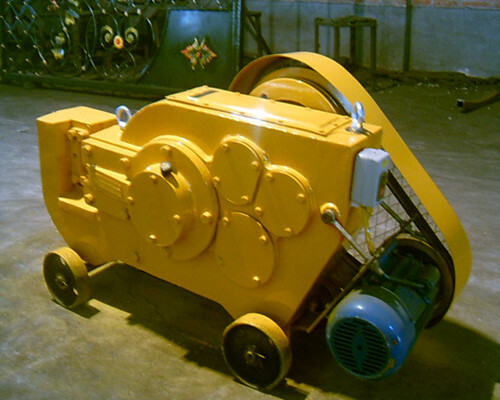 Fourthly, the gear inner the machine is produced by high quality forged steel. Therefore, our machines could work stably even if it is under the circumstances of big workload. Fifthly, our steel cutting machines use clutch system. This will keep operator safe. Sixth, Ellsen iron cutting machine price is very competitive in market due to our 20 years experiences in production. Furthermore, our factory has the capacity of customizing steel cutting machine according to clients’ design and parameters. Keep your fingers away from cutting blades when machines run. We’d better wear safety glasses when operating. Steel bars must be replaced on the bottom of the cutter opening as shown. Always switch off metal bar cutting machine when not using it. Making sure the cutting blade is flawless before operating machine. Please keep it clean when iron rod cutting machine is not in use. We promise one year warranty for bar cutting machines. All wearing parts are shipped to clients for free. Our factory offer different cutting blades for different steel types. Maintenance-free service is accepted in our factory. Our seasoned engineers can go abroad to instruct how to use the cutting machines. 24-hour online service is to help solve any problem customers meet.